This is a photograph I took in the "Zoo Hellabrunn" in Munich, Germany. 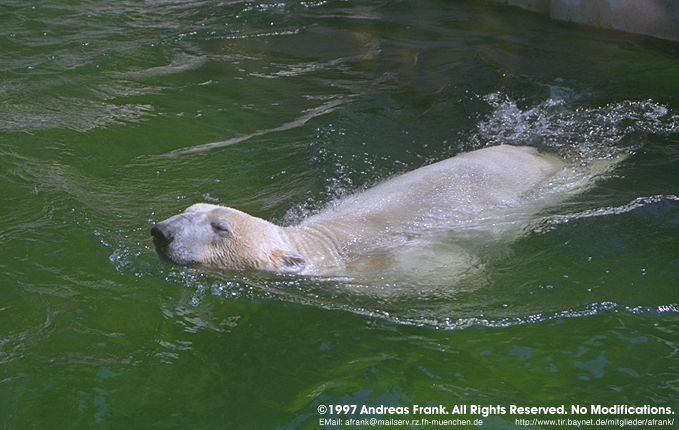 It shows a Polar Bear swimming in his pool. Write an EMail to me if you like the picture.